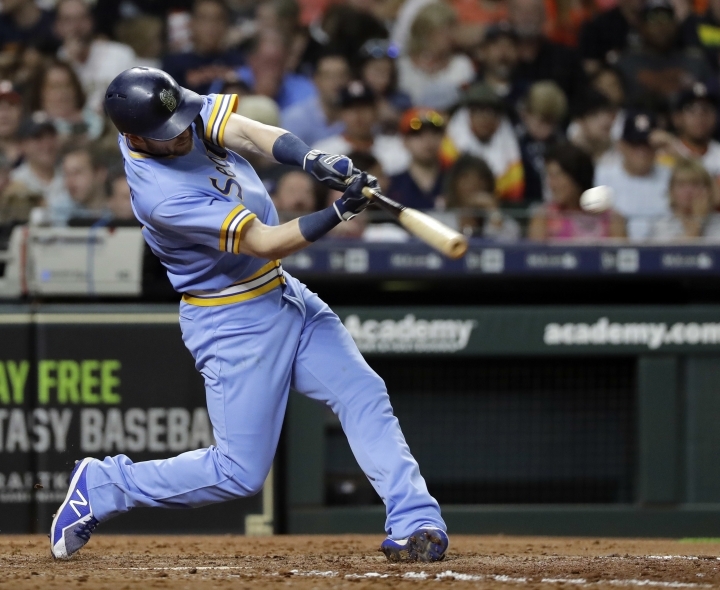 HOUSTON — The Seattle Mariners are feeling pretty good after beating Houston All-Stars Justin Verlander and Gerrit Cole on consecutive nights. "We came here and wanted to start playing some better games and that's what we've done," manager Scott Servais said. "We're just playing better baseball right now and the top of the lineup has been really swinging the bat well." "They've got a really good club," Servais said. "You've got to pitch them really well, you've got to keep them down because you know it's going to be tight ball games here and we got some big hits late." 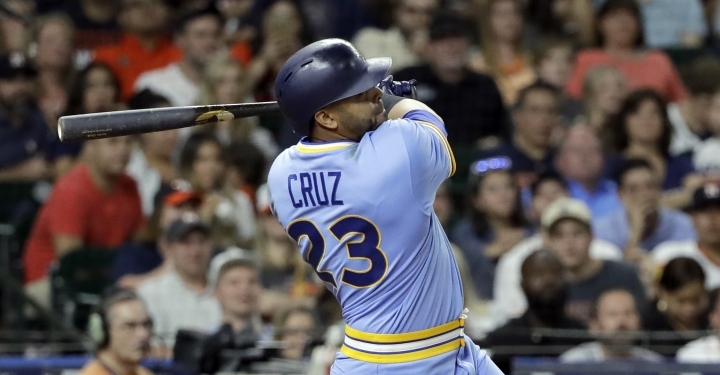 The Astros had trouble stringing hits together until Marwin Gonzalez and Tyler White hit consecutive singles with no outs in the fifth inning. Martin Maldonado then reached on a fielder's choice that left Gonzalez out at home. 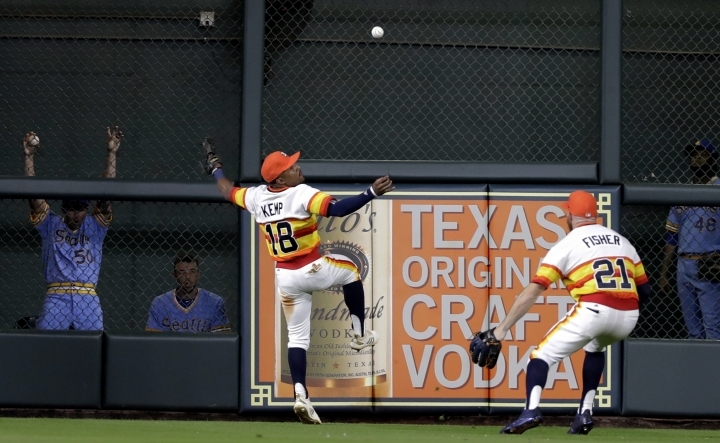 Tony Kemp's single to center field with two outs scored White to make it 1-0. 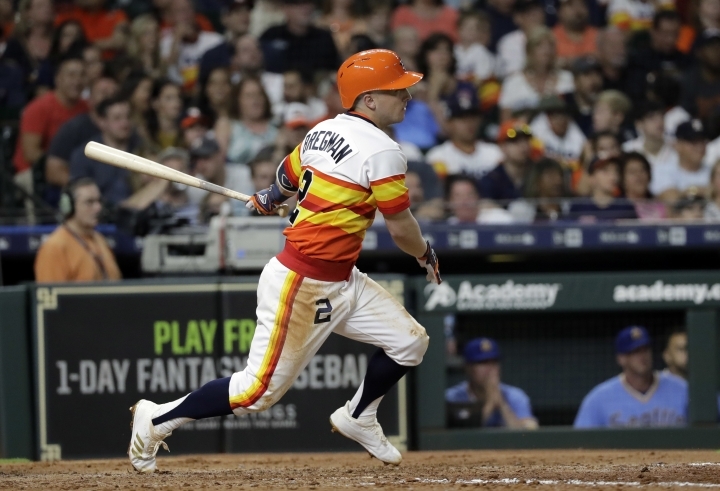 Alex Bregman followed with an RBI double to push the lead to 2-0 before Carlos Correa grounded out to end the inning and leave Kemp stranded at third. Correa was 0 for 3 in his return after missing more than a month with a sore lower back. 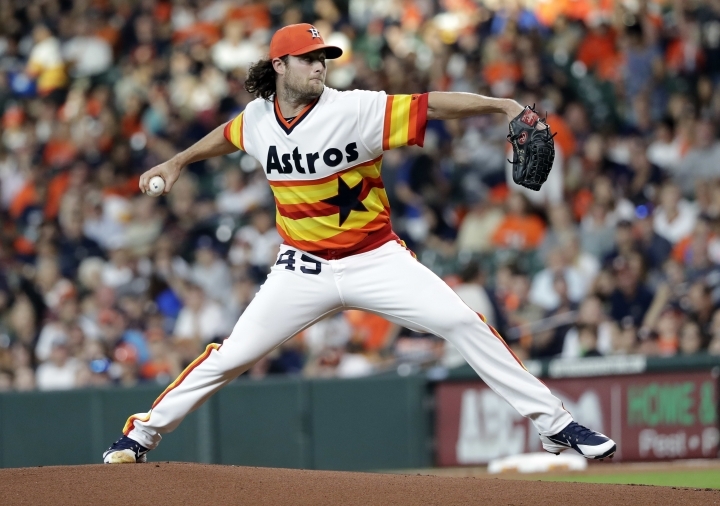 Cole sailed through the first five innings, retiring 15 of the first 16 batters he faced with the only baserunner coming on a double by Cruz to start the second inning. He'd sat down 12 straight when Cameron Maybin singled to start the sixth inning. 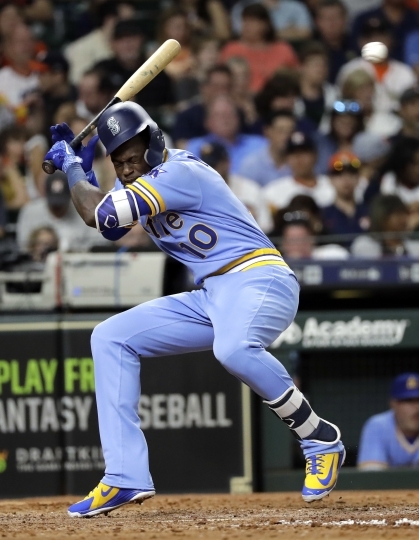 Cole then walked Dee Gordon on four pitches before a double by Haniger scored Maybin to cut the lead to 2-1. Span's single sent Gordon home to tie it up. There were two outs in the inning when center fielder Jake Marisnick made a spectacular diving catch to rob Seager of a hit and keep the game tied. Marisnick sailed through the air and snagged the ball just inches from the grass to end the inning. Cole extended both hands into the air and cheered after seeing the catch before putting his glove on his head and shaking it in relief. 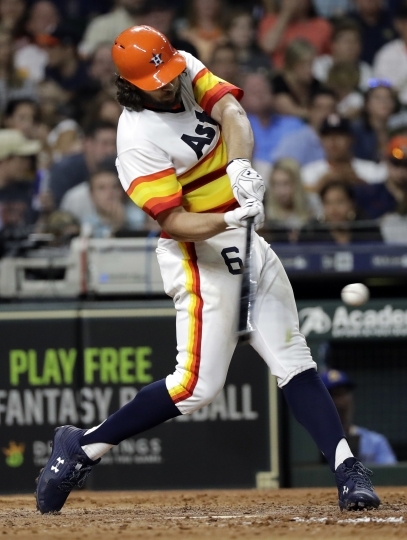 "Off the bat I didn't see it great, and then I was able to get there and stretch out and save a couple of runs there for Gerrit," Marisnick said. "I don't know how he's doing, but I've been on the field for too many injuries lately, so I am not very optimistic," manager A.J. Hinch said. Astros: Hinch said 2B Jose Altuve (sore right knee) is making progress, but won't return during this homestand, which runs through Wednesday. Altuve, the reigning AL MVP, hasn't played since July 25. 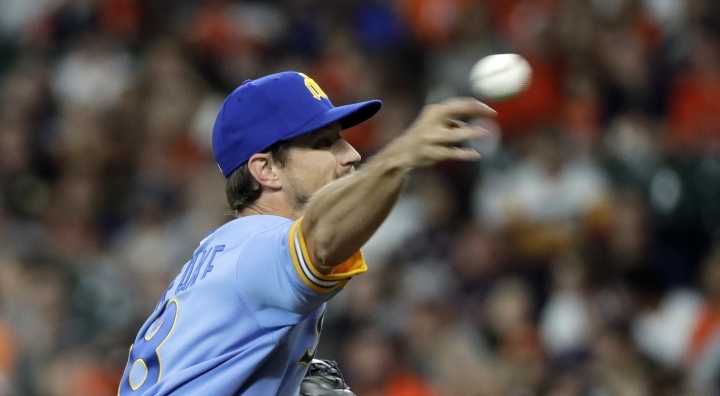 Houston's Charlie Morton (12-2, 2.81 ERA) opposes Seattle left-hander Wade LeBlanc (6-2, 3.81) when the series continues on Saturday night. Morton struck out eight in seven innings in his last start to give him a career-high 167 strikeouts this season.